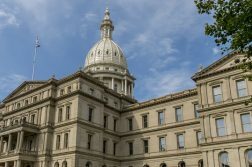 A legislative hearing on Tuesday in Lansing could be a sign of things to come for Michigan’s high-stakes 2019 online gambling debate. 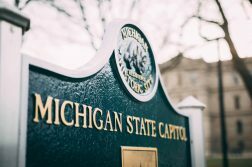 The Michigan Lawful Internet Gaming Act, one of a handful of gambling bills on the table, cleared the House Regulatory Reform Committee by a 13-1 vote, sending it to the Ways and Means Committee. The roughly 30-minute hearing went smoothly for the legislation, which passed the Michigan House and Senate late last year before a veto by former Gov. Rick Snyder, a Republican. This time around, lawmakers are expected to move more quickly on the legislation, which could also pave the way for online sports betting. At the hearing, there were two proposed amendments for raising the online gaming state tax rate from 8% in year one to 16% by 2023. Both amendments were proposed by State Rep. Alex Garza, a first-term Democrat. The legislation is sponsored by Rep. Brandt Iden, a Republican. Each vote was 6-8 (with one abstention) on the tax hike, but that battle is far from over. The 8% is a carryover from last year’s failed legislation. A proposed amendment for additional revenue earmarked for K-12 classroom education also was shot down without any public discussion. Tax debate on the horizon? While Snyder was a political enigma, the state’s new top official, Democratic Gov. Gretchen Whitmer, is a former state legislator and will likely communicate her concerns about the bill to the legislature before it reaches her desk. There was some of that at the Tuesday hearing. 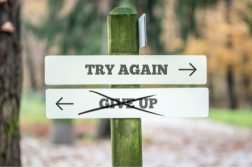 The Michigan Lottery, the Michigan Department of Treasury, and the State Budget Office all are opposing the bill in its current form, but are supportive of the concept of regulating online casino gambling. In other words, there needs to be changes in the eyes of the Whitmer Administration. Front and center is how much money Michigan can make off of gambling expansion, as well as where the money should go. None of the aforementioned state entities were present at the hearing to offer testimony, as their stances on the proposal were merely read out loud by the committee. The city of Detroit, which would get 1.25% of internet gaming revenue generated by the Detroit casinos, came in as supporting the legislation in its current form. Under the current version of H 4311, the Detroit casinos would pay less tax on online gaming revenue than on the revenue generated on their respective casino floors (about 19%). A hearing last week revealed support by the Detroit casinos, and this week it was said that three of the state’s tribal casino groups support the legislation. That’s not surprising considering last year’s passage represented a compromise among the state’s commercial and tribal casinos. Though they would be taxed differently, both could be operators of online gambling platforms. The Stars Group, owner of PokerStars, also testified last week in support of Michigan online gambling. Outright opposing the legislation this week were the Michigan Association of School Boards and the Michigan Family Forum. A state fiscal analysis found that the state’s School Aid Fund “likely would realize reduced revenues” under H 4311, as written.